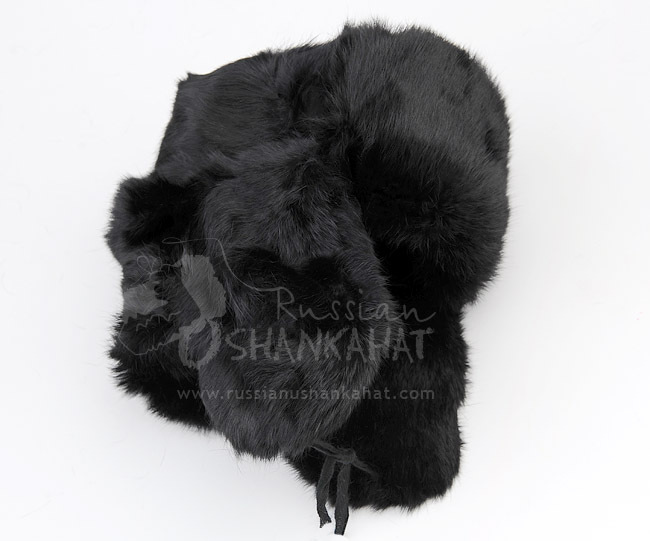 100% authentic natural Russian soft natural black rabbit fur trapper hat with ear flaps for cold weather. 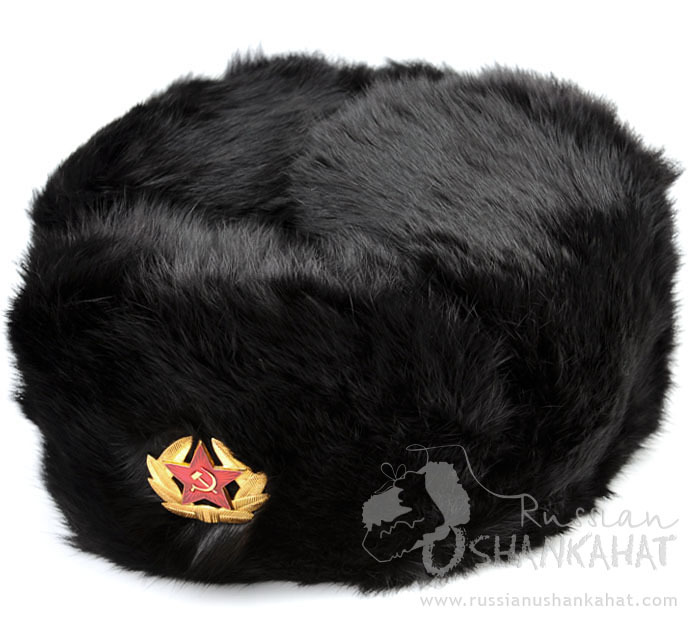 (Cossack hat) Ushanka or ear-flapped hat is Soviet military uniform hat. 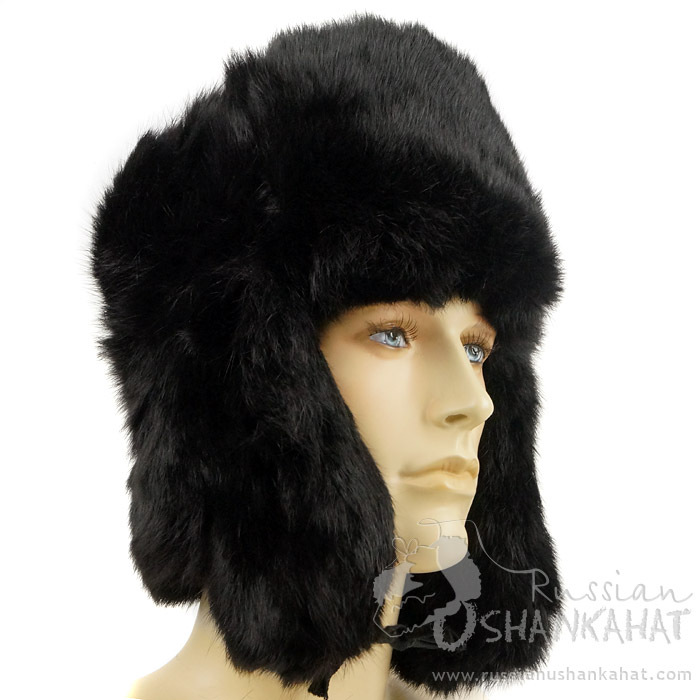 It is very warm, stylish and cozy hat, perfect for protecting from Siberian winds and snow storms. 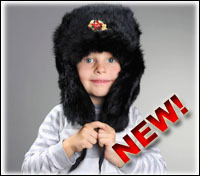 Great for cold days outdoors, skiing, snowboarding, sledding, hunting or anytime you need to keep warm and in style. 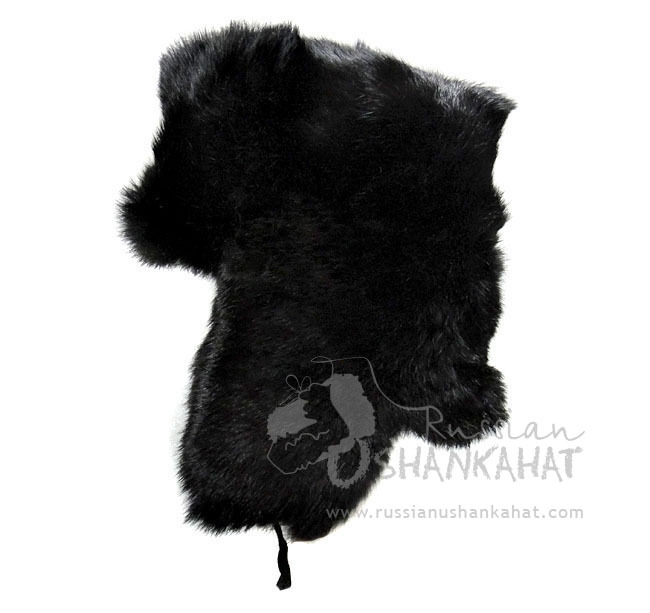 Ideal for outdoor workers (construction, city/road repair government workers). 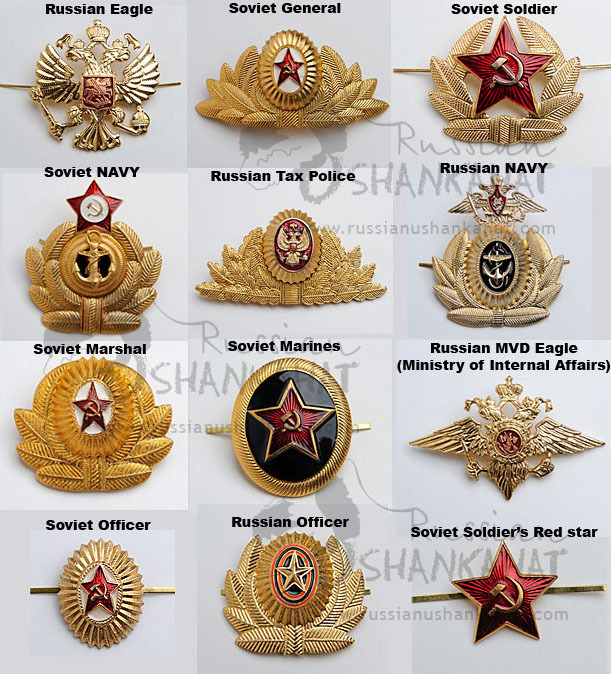 All badges are metal. 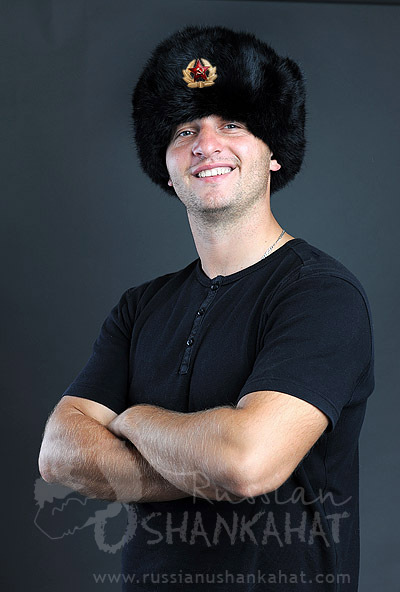 Badge will be included but not attached to the hat.